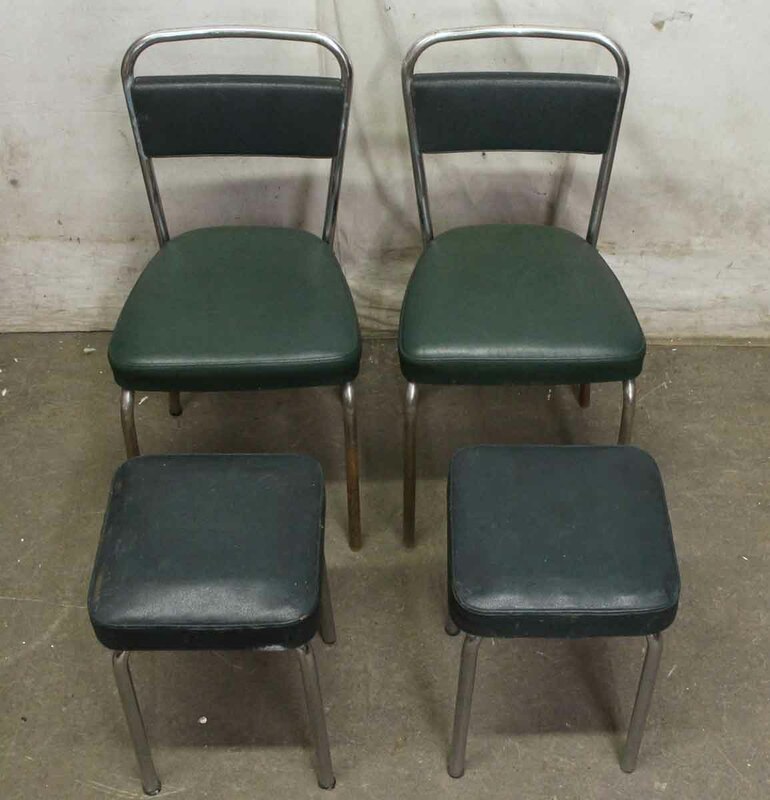 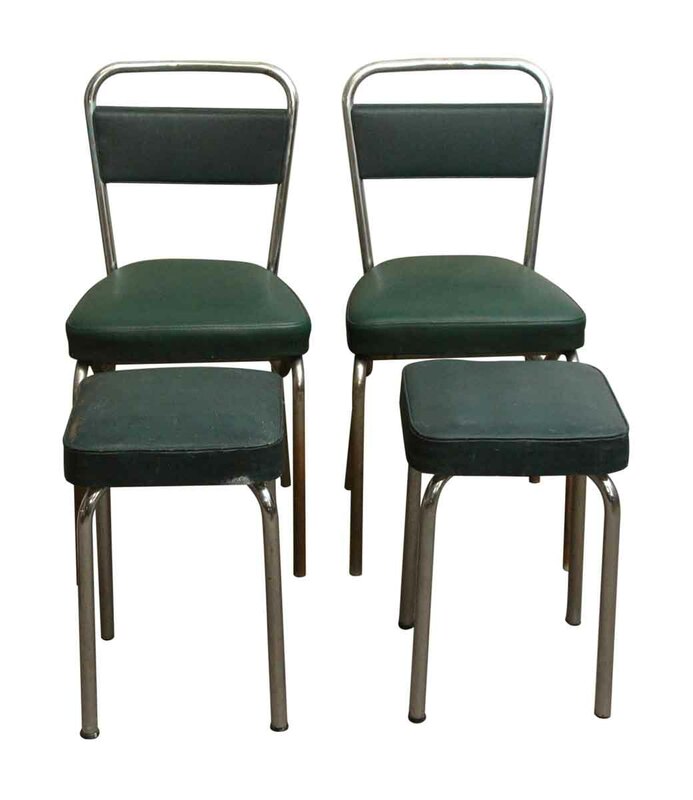 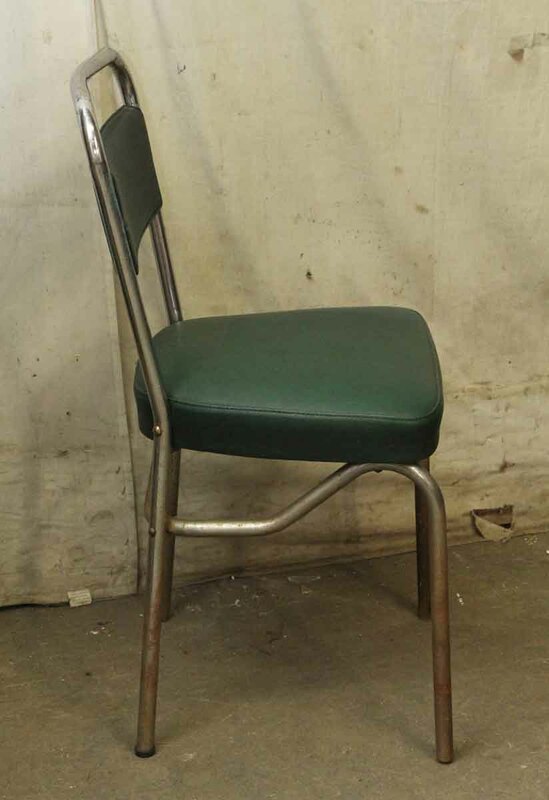 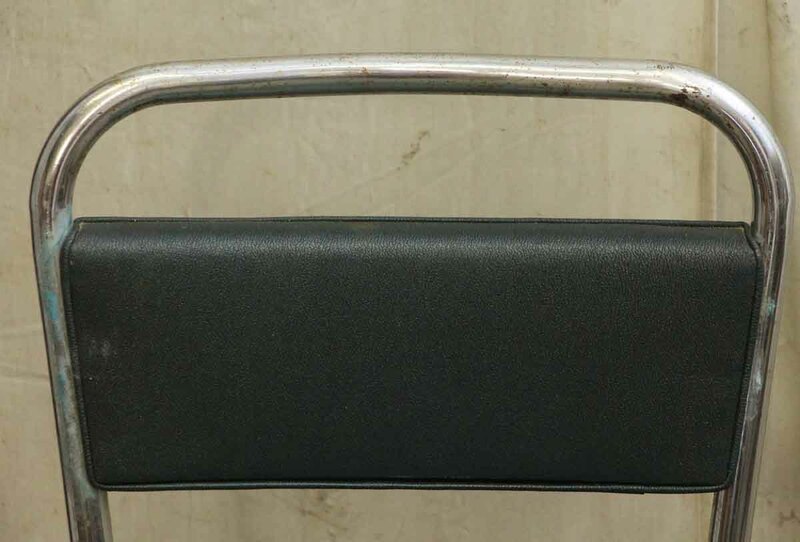 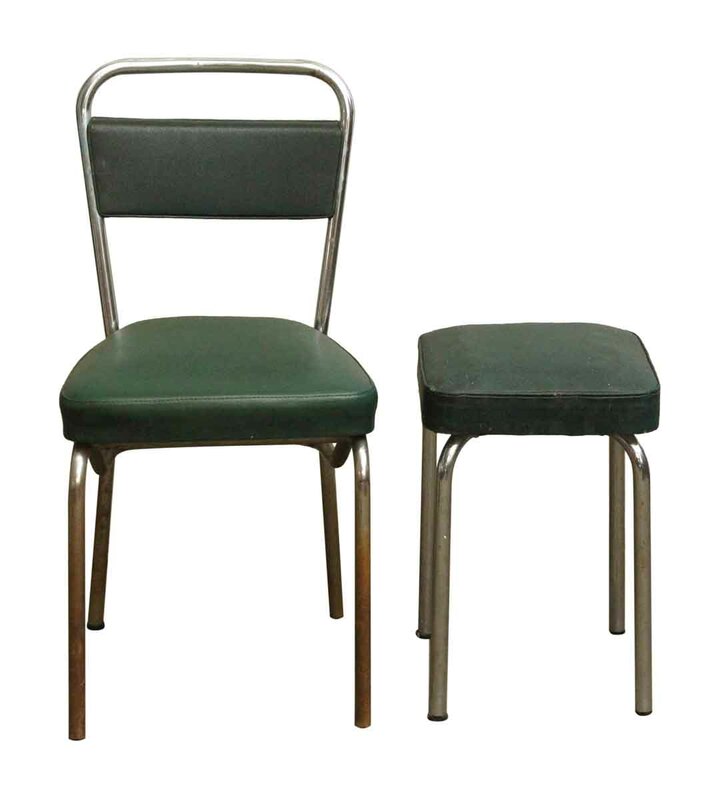 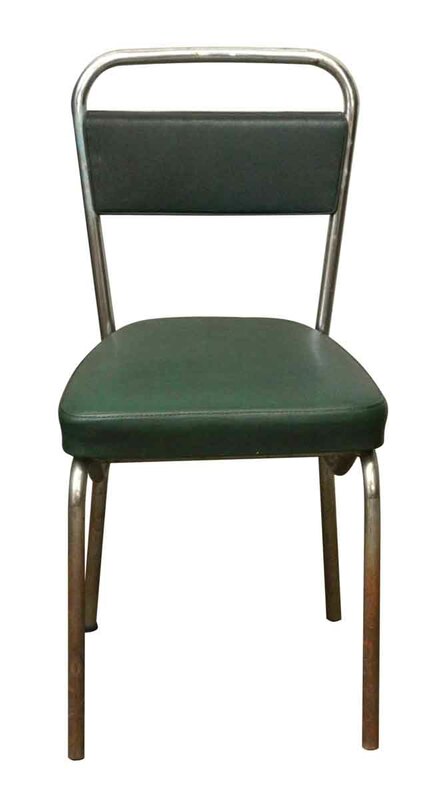 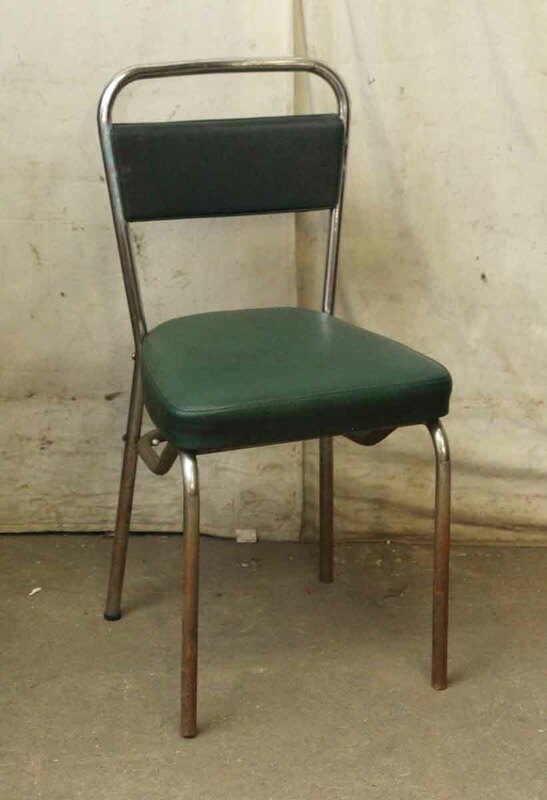 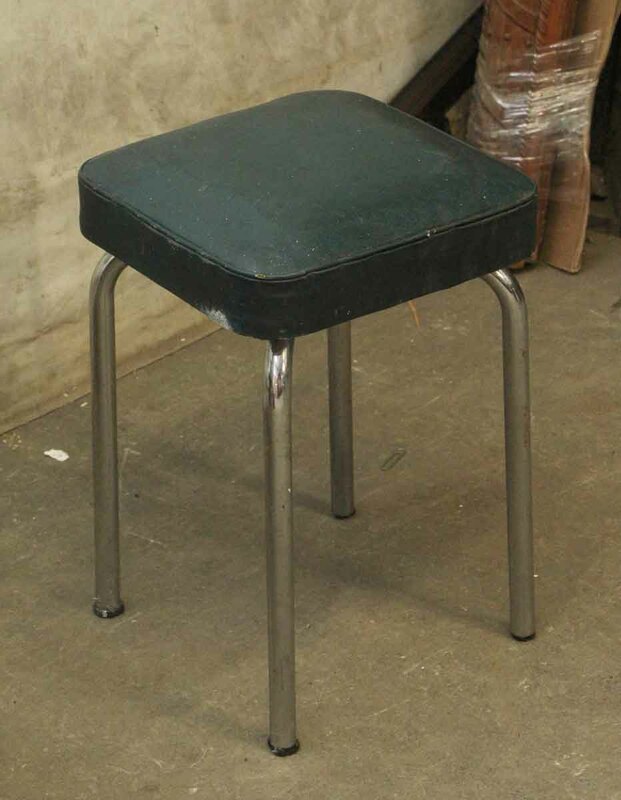 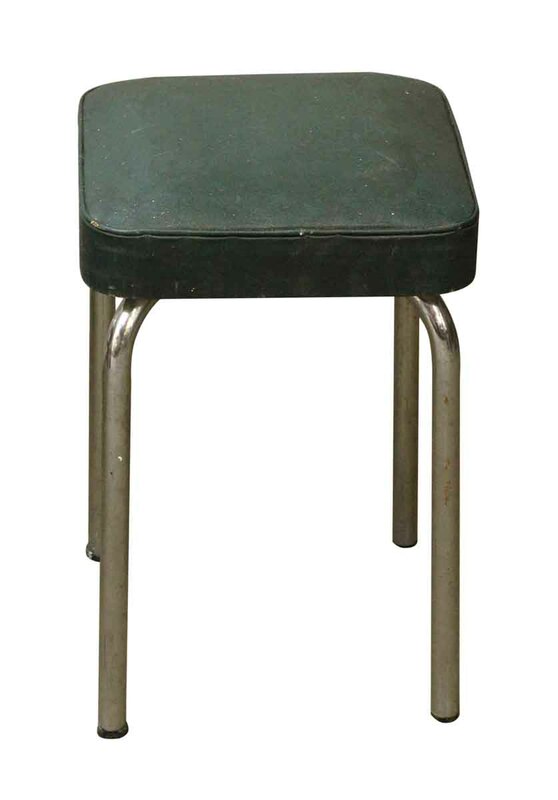 Strafor dark green chairs with matching green stools and a chrome base. 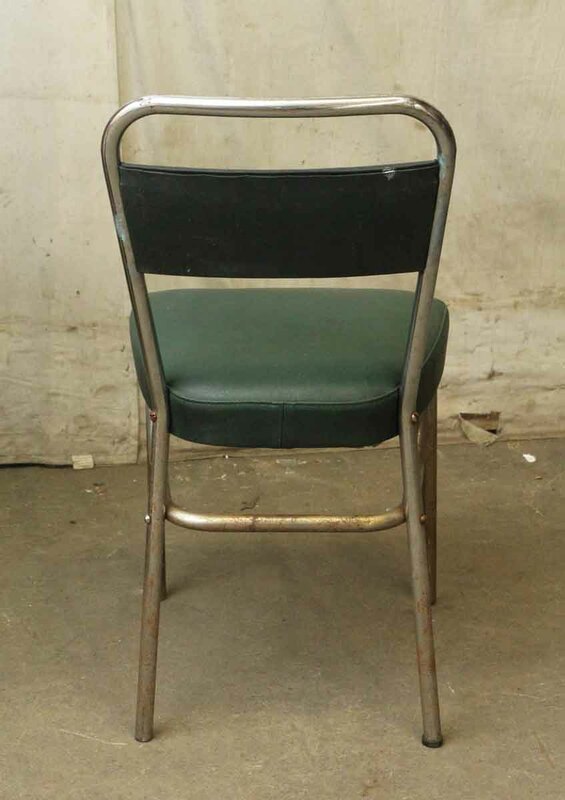 Shows some wear. Priced as a four piece set.